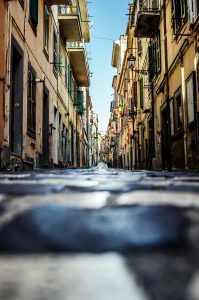 The Castelli Romani: an itinerary far from the City Routine. After admiring the splendor of Rome, what could be better than a day trip to the Castelli Romani? When we think of a getaway from the capital, we imagine a trip to the small towns outside the city, destinations popular not only because of their proximity to Rome, but also for their history and traditions, still intact, their slower pace, beautiful monuments, and great food. It is no coincidence that the Castelli Romani are famous above all for a tourism that combines the pleasure of discovery with pleasure for the palate. Let’s take a closer look at some of the small towns of Lazio. Frascati is among the most famous of the Castelli Romani and one of the richest in attractions and monuments. It would be a real shame to go to Frascati and not visit the patrician villas that once were the favored properties of the wealthy Roman class. Villa Tuscolana, which today houses a luxurious hotel, Villa Aldobrandini ,also known as Villa Belvedere, one of the most famous historical residences of the town, Villa Falconieri and Villa Torlonia, are just some of the residences that stand in Frascati and are worth a visit. Once you’ve feasted your eyes on the beautiful villas, it’s time to take care of your taste buds, and at Dragonfly Tours we pamper wine enthusiasts with the great Castelli Romani wines that here in Frascati are an institution with their IGP labels. With our 5-day tour of Rome and the Castles, we take you to one of the oldest wine cellars, built into the remains of the Emperor Trajan’s villa for a special tasting with a sommelier at your disposal so that you can immerse yourself in the flavors of the nectar of Bacchus. 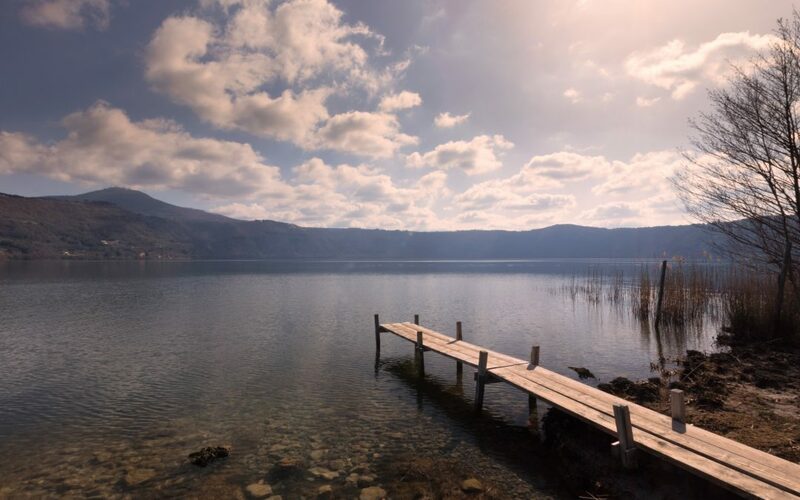 Nemi, the village on the shores of the lake of the same name is truly picturesque and somewhat crowded with tourists and visitors who come to admire the landscapes of the lake with its crystal clear azure water and escape from the city routine. Its historic center lends itself to strolls through streets that seem suspended in time. Of particular interest is the Museum of Roman Ships where you can see the preserved remains of the boats that Caligola used to accommodate his guests at his floating parties on the lake. Nemi is famous mainly for the culinary traditions that it has kept alive through the years, and, although it may seem unusual, Nemi’s most famous food is the strawberry, so much so that the village hosts a very popular strawberry festival in June. Here we are in another place that symbolizes the Castelli Romani, Ariccia. Most people know it because it is home to the delicious roast pork of Ariccia, but along with the culinary arts, Arricia also has its fair share of the monumental arts. Suffice it to say that the bridge by which we access the city was considered cutting-edge technology when it was built in the nineteenth century. In Ariccia the hand of Bernini is seen everywhere, and the town was a destination for foreign writers who came to Italy attracted by the Grande Bellezza. Today it is full of visitors, especially on weekends when there are long lines to enter the fraschetterie, where you can taste the genuine flavors of the cuisine of the Castelli! 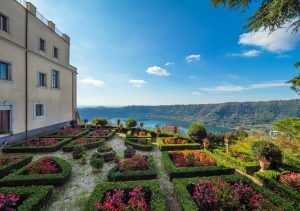 In closing this brief review of the Castelli Romani, we cannot fail to mention Castel Gandolfo, the summer residence of the popes for many decades. 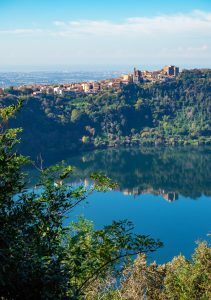 The panorama is splendid because it rises above Lake Albano, and since 2015 the Pope’s summer residence and its gardens are open to the public. Even Castel Gandolfo is not immune to well-defined culinary traditions and is the place that we at Dragonfly have chosen for you to experience a day dedicated to the culinary arts with a cooking lesson at the Castelli Romani. Are you ready to prepare gnocchi, fettuccine and ravioli with your own hands? They are the cornerstones of Roman cuisine, and at your disposal, you will have the skill of a chef who knows all the secrets of fresh pasta.